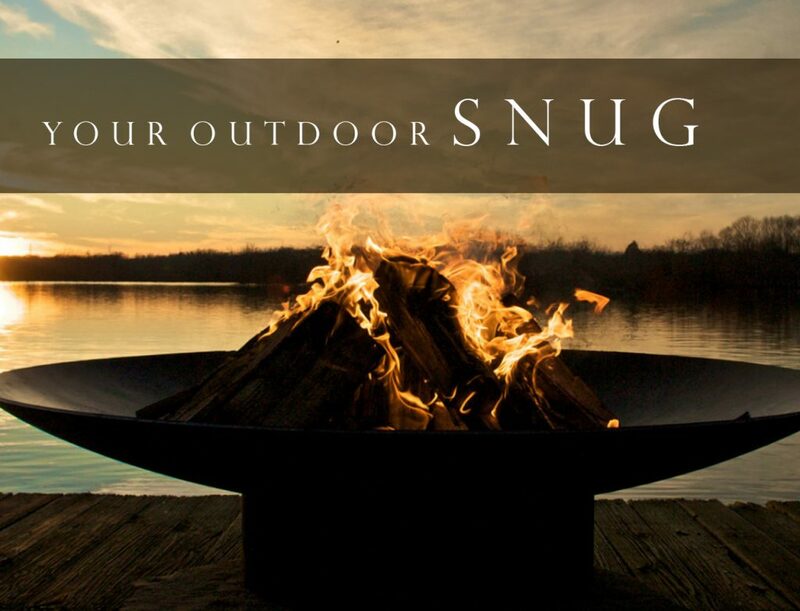 Early sunsets and the changing leaves makes this time of year a wonderful time to be outdoors. But lets be honest its a little chilly! By coincidence this week we have started working on the main fire pit for our Hermitage property, our latest development situated in Edwalton, Nottinghamshire. Take a look at some of the amazing designs below which has really got our creative juices flowing! We like the circular arrangement of the above design, as it provides planting behind the seating which could provide shelter and interest. The open section opposite the steps leading down into the pit provides a vista onto the horizon. A fixed pit using loose furniture gives more versatility to the area and the furniture can vary depending our needs. This pit provides warmth to both areas, it could even surround the whole area. 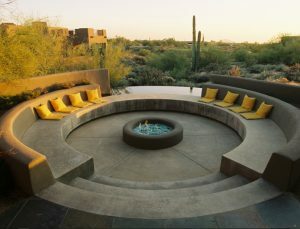 While the long wandering fire pit design provides an interesting alternative to the usual layout. 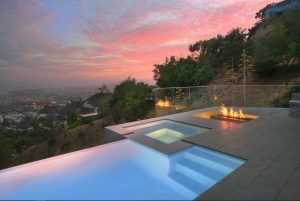 Integrating into the landscaping alongside the pool and Jacuzzi, this fire pit provides a striking contrast to the pool and maintains the ‘infinity edge’ style. 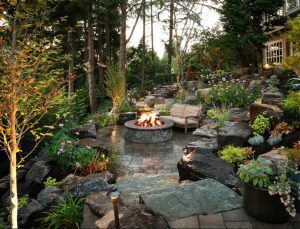 This arrangement is hidden within the landscape therefore giving users a sense of privacy and a connection with the landscape. 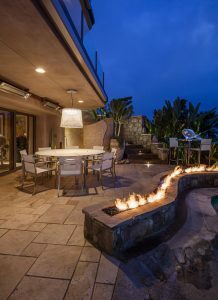 Take a look at some of our past projects where we have installed fire pits. Our Tanglewood development in Colston Bassett, Nottinghamshire included a fire pit built-in to the garden wall. Make sure you keep checking back for further updates on our latest development Hermitage which we are currently building. 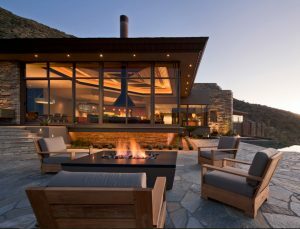 This property will include a fire pit for outdoor living and dining.